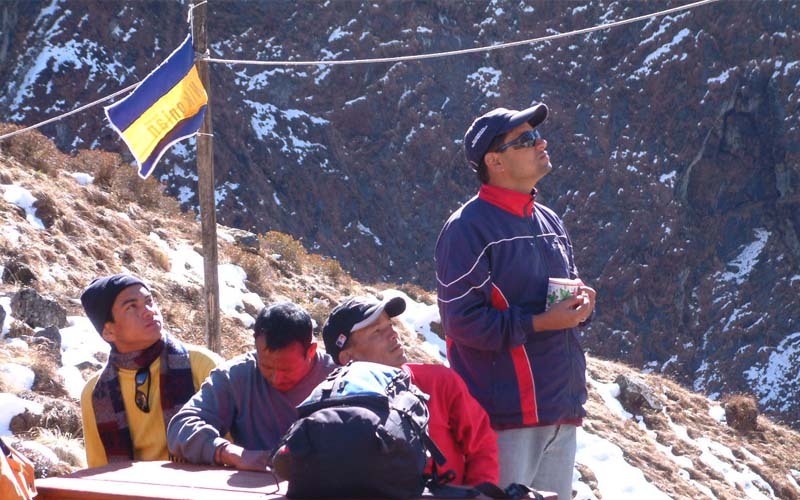 Trexmount Ventures is a leading Trekking company registered under the Office of Company Registrars and Certified by the Ministry of Tourism and Civil Aviation. 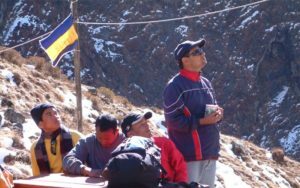 We are also associated with Nepal Tourism Board (NTB), Trekking Agencies Association of Nepal (TAAN) and Nepal Mounteering association (NMA). We do organize fixed departure as well as your own Tailor-made tour packages as per your interest, time & budget needs. We craft flexible itineraries with competitive prices. Our experience for more than 19 years has made us on Top for organizing the tours for every client with very pleasantly. Trexmount ventures Crews do serve their professional work with attentive for every situation to make the holiday trouble fee. We always committed for providing the best possible service to ensure that the time you spend while traveling with us will be worth remembering for lifetime. We believe that your satisfaction is our life of Business. We have huge numbers of clients who are promoting our brand with keep coming and recommending their Family and Friends. Let us have a chance to design your holiday plans in Nepal, Tibet, Bhutan and Sikkim/Darjeeling, we won’t leave any space to make all the trips a great success. 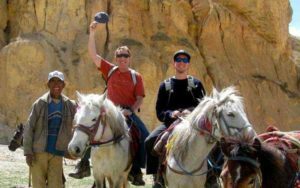 OUR TOUR LEADERS AND SUPPORT CREW: Trexmount Ventures is local based Travel Company & have all trained local employee who are very familiar with all sort of holiday needs. We have selected our staffs on the based of their knowledge, experience, attitude and capacity to deal with the situation. Our all Crew member is Guided by the Philosophy that we should not compromise to provide the high quality service which is key to the success of any professional work. FLEXIBLE ITINERARY AND COMPETITIVE PRICES: We have designed our itineraries for each of our packages in order to meet your holiday needs in very competitive price. There are always chance to encounter the unforeseen Circumstances so the Clients require a degree of flexibility and understanding to deal with unavoidable circumstances such as govt. restriction, flight delay, landslides, flood, snow, road blockage, political unrest, Sickness or Accident. But, we will always try to provide you an alternative or substitute trip of same value. ACCOMMODATION: Trexmount Ventures trying to make your stay as comfortable as possible so we always take high concern to choose your accommodations. We select them after their service, location & facilities. We do arrange good and modern accommodations in the various hotels (from non-star to star hotels) in accordance with your Requirements, interest and Budget considerations. CUISINE: Trexmount Ventures always taking attention and giving our utmost priority to the hygiene and different varieties of taste. So we carefully choose the Hotels & Restaurants and try for best available in the area. Many hotels & restaurants serve varieties of hygienic meals from Indian, Japanese, Chinese, Russian, Mexican, Korean to Continental dishes. At some places, we do serve the meals from Buffet & some times you can choose your own meals from menu with the tastes you want. During the camping & Village Tour|trekking section, our highly skilled and experienced chefs will provide tasty and nutritious meals daily with a variety of local and western dishes. We leave no stone unturned for maintaining personal hygiene of our clients and use as much fresh produce as possible and special diets are regularly catered for. Our cook will be timely providing you perfect breakfast, lunch and dinner. If you are going into the Tea house|Guest House Section, there will be menu so you can choose your own meals from menu every day. We believe that good health is vital to an enjoyable holiday journey. HEALTH AND COMFORT: Your Health is one of the important factors to enjoy the holiday, Because of sudden change in climate and altitude; it is obvious that there could arise some alterations in your health. We recommend you to know about all aspects of health problems & gather information about altitude sickness, dysentery, diarrhea, cholera, rabies, hepatitis, tetanus, meningitis, malaria, diphtheria, and HIV/AIDS which can be useful and of course the common sense are always very helpful. In fact, quite a few numbers of Visitors do effect from Diarrhea as they will be eating and drinking in various outlets. So, we recommend you to drink purified water and eat in clean outlets. Definitely, drinking and eating precautions will surely help to take care of many health problems that could arise during the trip. It is highly recommended to stay hydrated during the trips of all kind. We always recommend you to undergo a thorough physical checkup prior to traveling in any destination. We recommend vaccination for diseases like Malaria, Tetanus, Typhoid, Small Pox, Meningitis, Polio and Hepatitis before you travel could be the safe side. Though there’s no need to present inoculation or immunization certificates to enter Nepal for any legal purpose. You can find all type of Medical facilities in Kathmandu, and sounds almost all kind of medicines in Kathmandu. There are several hospitals in big city however there are just few health posts which is set up by the government in the countryside at where the facilities are not on equivalence with those found in the cities. In this Regards, Unique Path Travels always suggests to bring your own first Aid Medicines which is more helpful for emergency use. SAFETY AND RELIABILITY: Safety and the well-being of our groups are of paramount importance to us. We have a team of qualified professional guides who are well-trained by the Government & various institution. Actually all the adventure travels done with proper safety precautions are not risky in themselves but when safety measures are esteemed less, many things can go wrong and minor sickness could turn out serious enough to be fatal. We take huge concern on safety and reliability as we do not compromise for safety issues. Just don’t make the display of wealth. Best to keep your belongings secure and within your sight. Always remember to register personal information and Tour|trekking details with your respective embassies. Always make arrangements for handling emergency situation beforehand. Don’t forget to purchase a comprehensive insurance policy that covers helicopter rescue costs. 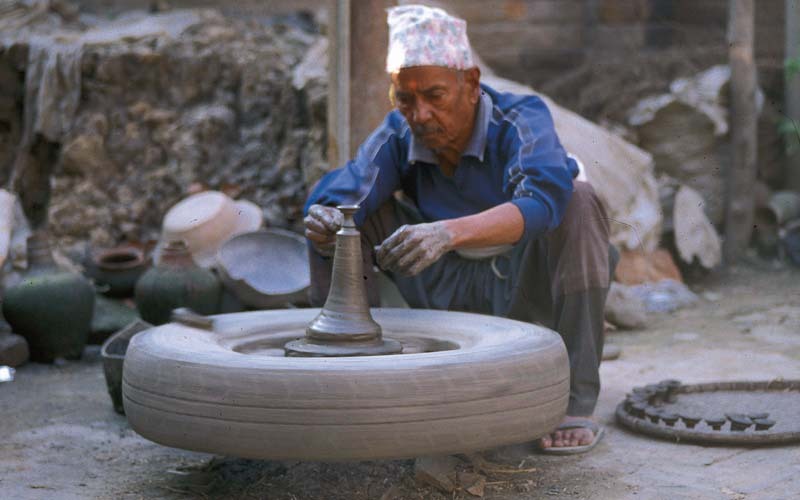 And remember to leave a copy of your details with us in Kathmandu. Note: There can be other security tips too. But mainly, you should be well alert about the security of your belongings. We are always here to make you feel most safe and comfortable during your trips. TRANSPORTATION: We choose reliable Domestic Airlines Company to make reliable & safer flight. We do provide all types of transportation’s as per requirements. We can provide air-conditioned as well as non-air conditioned vehicles, Private or Public (tourist Vehicle). We make sure & guarantee to provide best available transportation into each of our tours for comfortable journey which will make your trip wonderful and rewarding Holiday with us. RESPONSIBLE TRAVEL: Trexmount Ventures is always sincere to observe Responsible Tourism practices and inspired by the principles for ecological or environmental responsibilities, social and cultural responsibilities, economic responsibilities, and innovative responsibilities. We always do our best to contribute for the awareness and change campaigns for responsible tourism. We have been frequently launching number of eco projects into the villages. And we also train our guides and helpers in environmental education and awareness for other socio-cultural. We also encourage our clients to be more sensitive in while photography and dress codes while respecting the differences, modesty and privacy. ECOLOGICAL OR ENVIRONMENTAL PRACTICES: Trexmount Ventures is inspired by the principles for ecological or environmental responsibilities. We have conducted all of our trips with careful eyes in order not to affecting the local ecology negatively. We actively participate in various environmental education projects and campaigns. We always strive to make minimum impact on the local environment during our trips. ECONOMIC PRACTICES: Trexmount Ventures emphasize on making extensive use of available local products and enhance maximum economic benefits to the local communities. Besides, we support rural development projects by contributing some amount of our profit every year. OUR SERVICES: We specialize in providing complete and quality touring solutions to our clients from around the world for Nepal, Tibet, Bhutan and Sikkim|Darjeeling holidays. 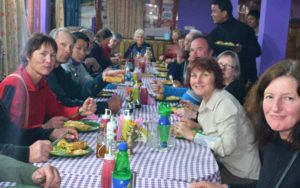 We also do organize quality Hiking/Trekking, White-water Rafting, Mountain Climbing, Wildlife Safari, Mountain Biking, Bird Watching, Scenic Mountain Flights, Home Stay Tours, Sightseeing Tours, Volunteering and Helicopter tours along with other adventure with nature and social activities. Well, these varieties of tours can be done from short to long and easy to challenging. We do provide personalized services at a reasonable price with guarantee of the best holiday experience with us.